How long have you been involved in the Worldwide Pinhole Photography Day? What role do you play in the organization? 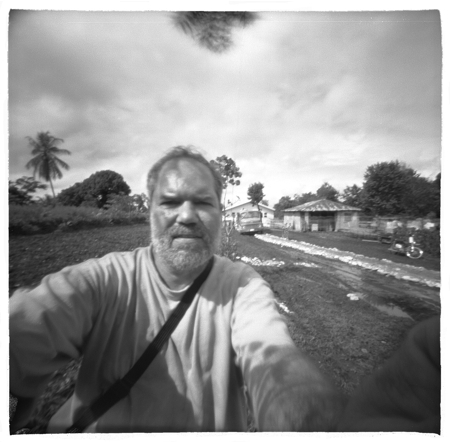 Gregg Kemp: I was one of the people who started the “Worldwide Pinhole Photography Day” in 2000 and I continued to participate for several years, until 2007. I led the “coordinating team” that first year and also wrote most of the web programs used create and update the website. It evolved into a content management system (CMS) dedicated to pinhole day. Volunteers are able to log in and contribute translations of the text into various languages, then after the “day”, can review and approve submissions to the site gallery. There is much more to the site than that, but those are the highlights of how the site is structured. The next year I shared the team leader role with Guy Glorieux. In 2004 Tom Miller took over as the team leader and I continued as webmaster from 2003 until 2007. I have helped some in small ways since then. 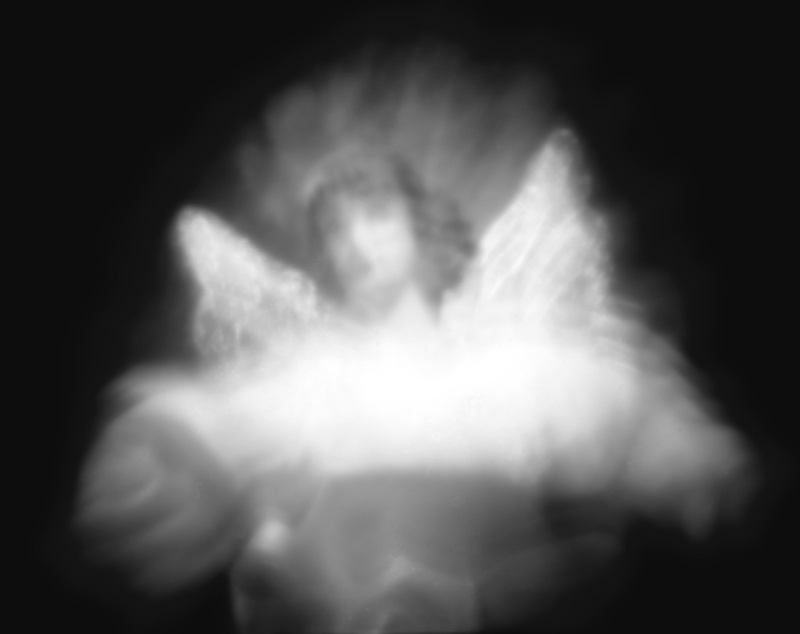 Gregg Kemp: The idea of “Pinhole Day” began around Valentine’s Day, 2000. At that time I was running the “Pinhole Discussion List” on the Pinhole Visions website. Some list members were posting “happy valentine” day wishes to the list when Zernike Au suggested that it would be nice if pinholers had their own day. The discussion took off after than and everyone liked the idea. It was as simple as that, just the idea of expanding the fun of pinhole photography to more people. James Kellar was the list moderator at the time and he and I talked about how we might give some shape to the idea, how we might make it happen. He suggested some people who might be willing to put in some time to organize an international “pinhole day”. Over a few days time, James and I contacted Zernike, Diana Bloomfield, Jean Daubas, Larry Fratkin, Guy Glorieux, Edward Levinson, Pam Niedermayer, Guillermo Peñate and George Smyth and invited them to participate as a “coordinating team” and that was the formal start of it. Can you forecast how long the WPPD might last? We’ve seen the retirement of some long term magazines, lists and websites over the last few years – do you think that there is a waning interest or are more choices now? Gregg Kemp: Tom can best forecast the future of WPPD. But I see nothing but an increase in the interest in pinhole photography. I see that there are more opportunities now to share pinhole images, camera building techniques and other information through the current social networking sites like Flickr and Facebook. But a big difference between these web sites and the “pinhole day” event itself is that the WPPD team is actively engaged in supporting workshops and “brick and mortar” exhibitions of pinhole prints during the days leading up to and following pinhole day. There are dozens of workshops held around the world each year in support of pinhole day. That’s a lot of hands-on, real-world learning of traditional photographic technology. Pinhole Day is not just the on-line web exhibition, its all the people and events that make it happen around the planet. The website publishes these events to help people find a workshop or some other activity nearby. And its the experience of these events that make a difference to a lot of people. Gregg Kemp: The growth has been amazing. Tom and his team have done a great job of reaching out internationally to promote pinhole day. Gregg Kemp: I can only speak to the first few years. A whole lot of work was involved the first year. All of the organization of the event, the rules, guidelines, support information, and the creation of the data-driven website happened in just around 2 months time. This was a big undertaking and it wasn’t without some friction at times. Several of us on the team that year worked late into the night and early morning, day after day up until the first pinhole day. Amazingly, it all came together and worked. There were not so many submissions that year, but it was still a great start for what was to come. The next year we made some improvements to the website and cleaned up the rules and guidelines a bit. By the third year things were pretty much established and for the most part have held up well. Gregg Kemp: The site is data-driven and is written in PHP and MySQL. So the site remains the same each year, other than adding or updating the text and translations or slight programming changes. But each year, a new gallery is added to the site. Each submission to the gallery is reviewed by team members to ensure that all submissions fall within the rules. Gregg Kemp: I think it has, but not necessarily because of digital cameras. I think there are a lot of people around the world looking for interesting things to try or do and pinhole photography is one of the things that grabs some attention. I credit the Internet with the growth of interest in pinhole photography. 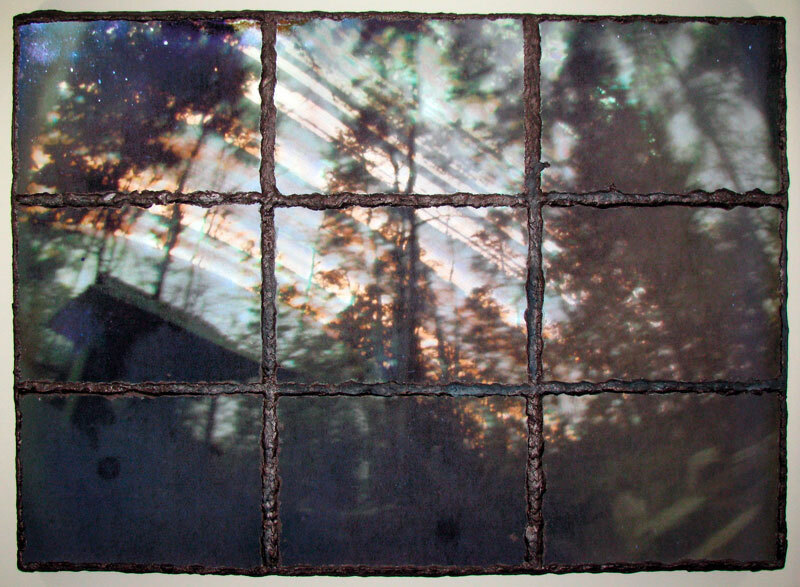 Many of the submissions to WPPD are from people making their first pinhole image, perhaps in a workshop. Many of those people may never make another pinhole photo or may not take another one until the next pinhole day. Some may get hooked on it in a more serious way. I believe it is the Internet that has allowed things like this to spread and evolve more than it being a backlash to digital photography. Gregg Kemp: The unknown, mystery, tension, things I can’t quite put my finger on. I continue to believe that the more difficult it is for the viewer to decipher an image, the more the mind fills in and the more meaningful the results. Gregg Kemp: I make my own cameras, partly because I enjoy it and partly because I often need some specific attributes from a camera. Gregg Kemp: I guess that would be my mobile phone. I can’t seem to find one without a built-in camera although I hardly ever take photos with one. For longer trips, I usually take a Zero 6×9 Multi-Format camera or a Nikon FE with a set of body caps, one for pinhole and one for zone plate. Gregg Kemp: As a teenager, I loved the surrealist painters, especially Magritte, de Chirico, Max Ernst and Dali. By the time I went to art school, there became too many to name, but Pollack, Chuck Close, Audrey Flack and Sandy Skoglund are some of the highlights for me. I never paid that much attention to photographers other than Steichen, Stieglitz, Man Ray and a few others. I learned my way around the darkroom while in high school (1963), but was always more interested in painting and painters. I don’t have any delusions about doling out advice about much of anything. But I do believe that if we’re talking about starting out in life here, it is important to follow your heart. If you’re reading this interview, there’s a good chance you still have a heart. So use you time on planet Earth wisely. 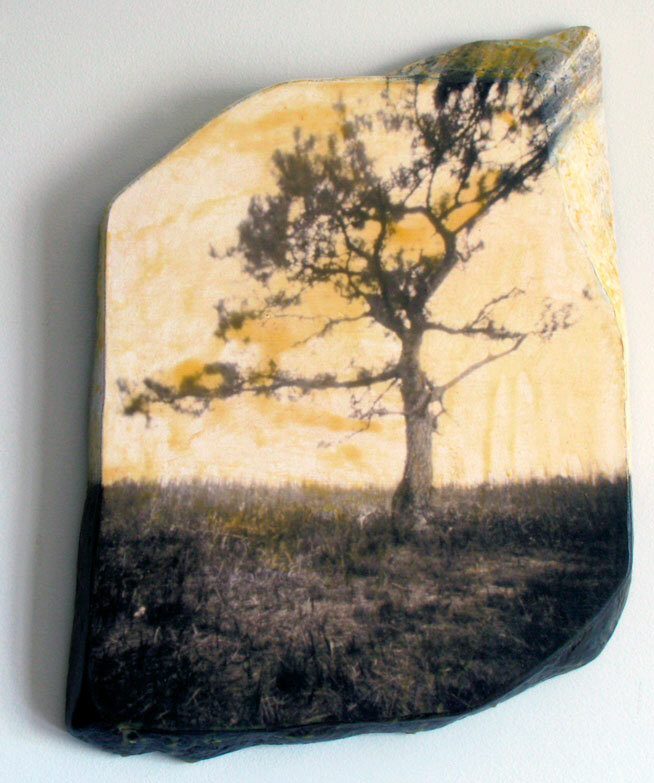 Having only recently come to pinhole photography I intuit there is a potential for completing the circle. Thus this comment is in a sense referring above all else to the last answer to the last question which in itself, suggests new beginnings. There seems ‘to be’ so much to learn when you slow down. The pinhole world owes you a great debt. You are truly one of the pioneers of pinhole on the internet, and as such you are one of the persons responsible for an explosion of lensless photography. Gregg D. Kemp lives and works in Durham, North Carolina.